You may not have taken much notice of bollards, whether they be used as traffic or security posts, but they are the silent guardians, the mute protectors, of people, property and vehicles. 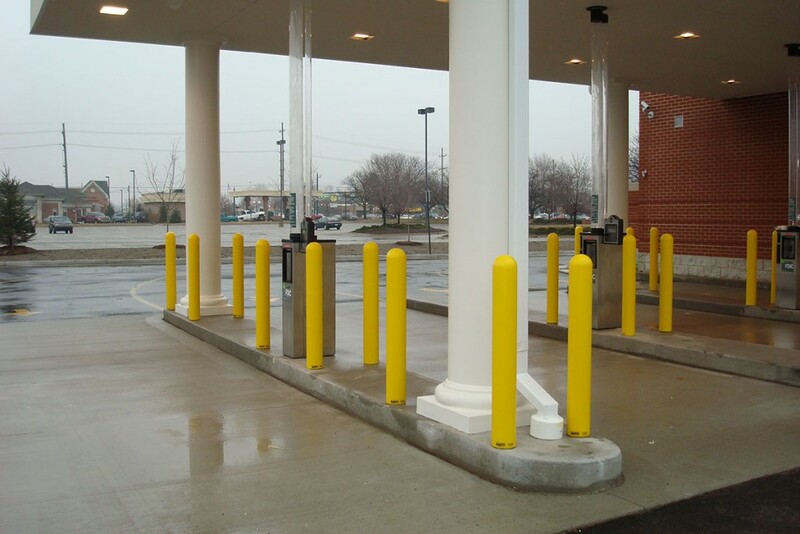 Bollards are the mainstay of perimeter security and traffic guidance. They are simply pipes that are embedded in concrete to provide a high level of impact resistance and to give a visual cue that an area is set off from traffic. 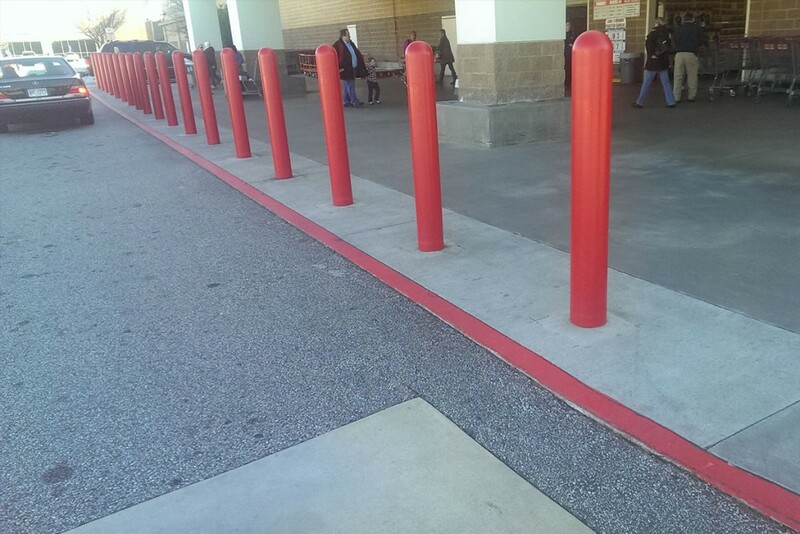 When installed in a line, they keep vehicles out while allowing those on foot to come and go at will. 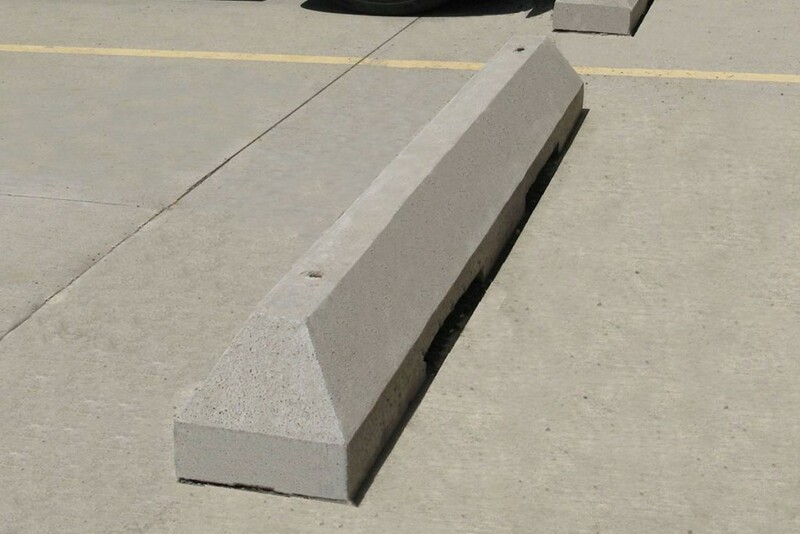 They may be used along the edges of buildings where cars pass closely, as lane dividers to segregate traffic and to set off pedestrian or green areas, or placed anywhere you do not want cars to enter. Parking lot car stops are items that are often the first and last impression of your property. As a landlord or property manager there are many good reasons to give careful consideration to your choice of Parking Stops. Safety is paramount. Did you know that 20% of all moving vehicle accidents occur in parking lots? Property owners and managers should be concerned with vehicle safety and pedestrian safety, at all hours of the day. Parking stops effectively control the flow of traffic within designated areas by preventing vehicles from passing from lane to lane through parking spaces. They are important in preventing cars that are parked perpendicular to pedestrian walkways from colliding with or inhibiting the movement of pedestrians.